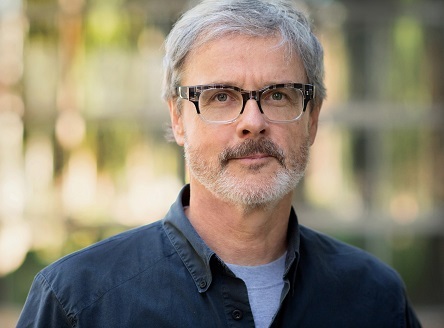 Researcher and author Mike Rother will discuss the findings behind his books, "Toyota Kata," the "Toyota Kata Practice Guide," and "Toyota Kata Culture" about turning scientific thinking into a practical Agile skill that anyone can learn and use to achieve challenging goals. Participate in kata training to gain a deep understanding of how you can experiment your way forward instead of having to decide your way forward. 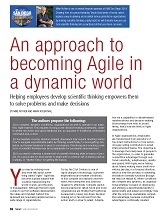 Rother will run a 90-minute hands-on exercise that introduces the scientific-thinking pattern of the Improvement Kata. Learn how to to run and use the exercise yourself. Scientific thinking is a basis for creativity and successfully pursuing seemingly unattainable goals. The Improvement Kata (IK) is a four-step scientific striving pattern that is practiced in many business organizations. It makes scientific thinking a teachable skill anyone can learn. 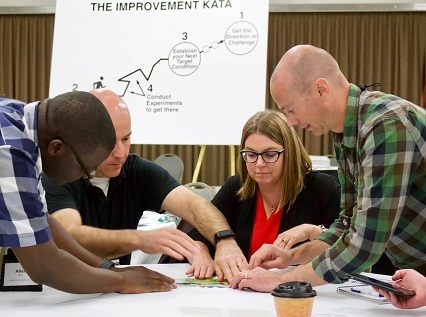 Attendees of The Kata in the Classroom (KiC) exercise will go through each step of the Improvement Kata pattern in a hands-on activity and work in teams on a number of self-generated iterations to complete a small puzzle. Follow the Improvement Kata pattern to (1) face a challenge, (2) measure where you are, (3) establish a next goal and (4) experiment toward that goal in three-minute rounds. Sign up is available now! Below the name and email address fields, click on the link that says "already registered." Enter your email address and registration number and click "ok."
Towards the top of the page you'll see several yellow buttons. Click the one that says "modify profile/add tour/add workshop." On the next page, click "next" at the bottom. Choose the kata session you'd like from the drop down menu and click the blue "add to agenda" button. Follow the remaining prompts to complete the signup process. Mike Rother is an engineer, a researcher, teacher and speaker on the subjects of management, leadership, improvement, adaptiveness, and change in human organizations. He has been a member of the Industrial Technology Institute (Ann Arbor), the University of Michigan College of Engineering, the Fraunhofer Institute for Manufacturing Engineering and Automation (Stuttgart), and the Technical University Dortmund. Rother has been in hundreds of companies and is well-known for his book, "Toyota Kata," which explains a means for developing, activating and mobilizing human potential in a way that makes scientific working a daily habit. His previous book, "Learning to See," is known around the world as the standard explanation and user guide for value stream mapping. Visit the Toyota Kata website for more tools and resources.